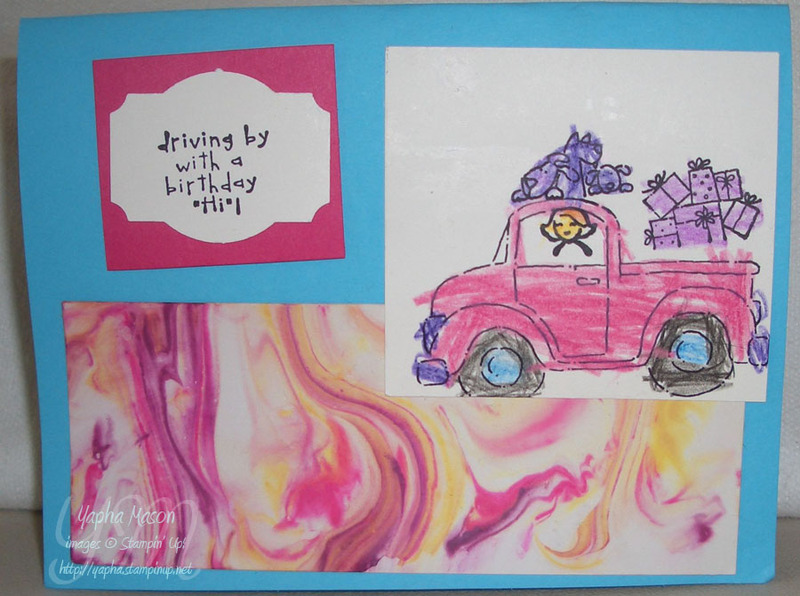 Here is the card we made at the reinker technique class. Want to learn how to do this and other great techniques? Contact me to schedule your class today! 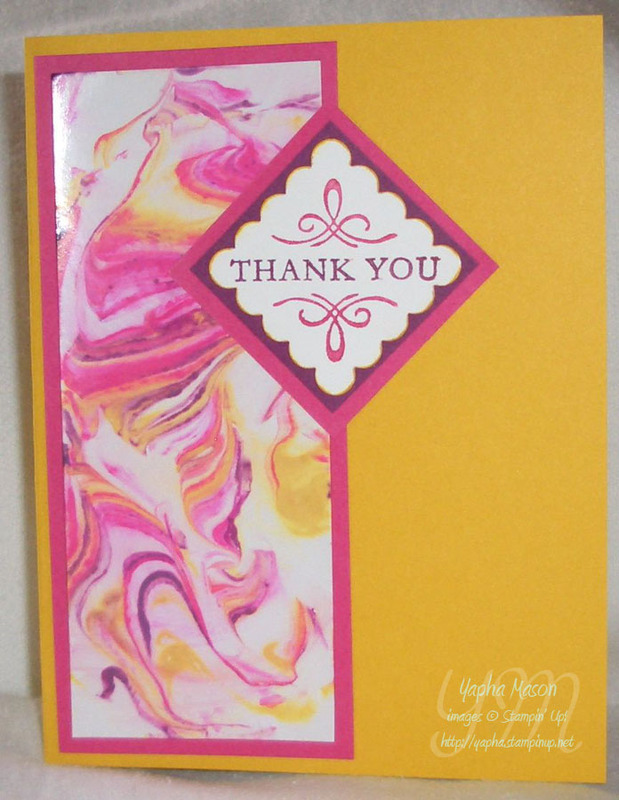 Great job Eve….I see you used one of my favorite stamp sets …I love it! Yummy colors Eve! You did a great job.